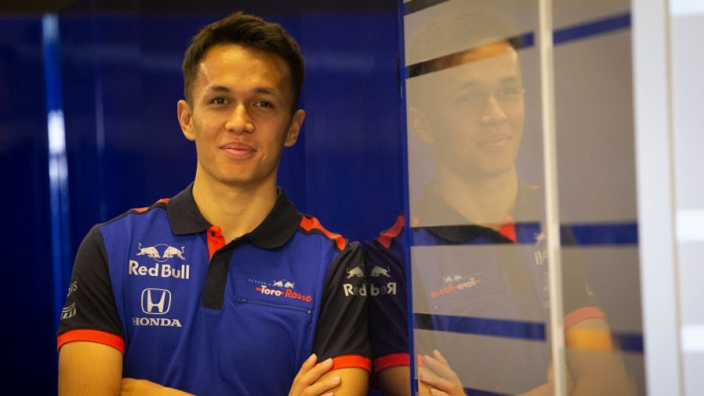 Alexander Albon has described how being dropped by the Red Bull academy at the age of 16 gave him the motivation to persevere in motorsport and ultimately return to the fold and securing a Formula 1 debut with Toro Rosso in 2019. The British-Thai driver was confirmed as Daniil Kvyat's teammate for next season in the week, having cancelled a long-term deal to race in Formula E with Nissan e-dams. Albon finished third in 2019's Formula 2 championship, having remained a title contender up to the final round of the year, and is determined to repay the returning faith of Red Bull chief Dr Helmut Marko. He told Red Bull's official channels: "It was a difficult year for me for numerous reasons, not least because of my results, but it made me work that much harder. "I was on the brink of stopping racing all together. Since then, I knew I had to impress every time I drove and fortunately Dr. Marko gave me a second chance. "I never gave up on [the F1 dream], I needed to believe that it could still happen. "Having said that, I knew that my chance of going to F1 was very slim as I didn't have a proper budget. "In reality, the only way I was going to have the opportunity was through Toro Rosso/Red Bull, but as we all know, it is not easy to impress Dr. Marko!" MORE: Will Albon regret choosing Red Bull over Formula E?